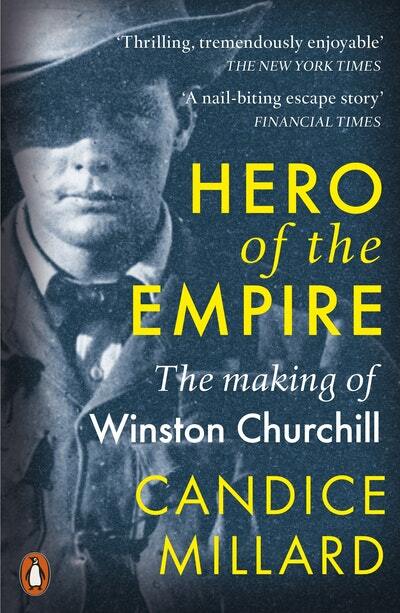 "Hero of the Empire" by Candice Millard - At the age of twenty-four, Winston Churchill was utterly convinced it was his destiny to become prime minister of England. He arrived in South Africa in 1899, valet and crates of vintage wine in tow, to cover the brutal colonial war the British were fighting with Boer rebels and jumpstart his political career. But just two weeks later, Churchill was taken prisoner. Remarkably, he pulled off a daring escape—traversing hundreds of miles of enemy territory, alone, with nothing but a crumpled wad of cash, four slabs of chocolate, and his wits to guide him.